Last Friday I spoke at a technology CLE for the Legal Staff Section of the Oregon Trial Lawyers Association. The group was engaged and enthusiastic. We covered a lot of ground, but my contributions centered on tips and tricks for using Microsoft Word and Adobe Acrobat. 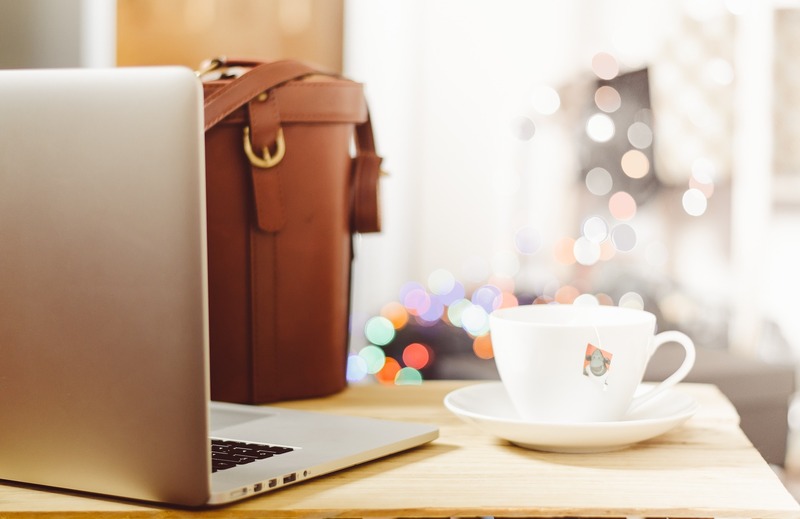 Today I’d like to share some of my favorite pointers and resources for Word. I promise to dish on Acrobat in a future post. Jan’s books are available at Amazon or Lulu. Visit Jan’s blog for discounts or coupons first. The Lawyer’s Guide to Microsoft Word 2007 is an ABA publication. Oregon lawyers can order ABA publications at a discount through the Professional Liability Fund Web site. From the home page, select ABA Products. If you visit the Payne Group Web site, take the time to check out the Word Tips and Answers to Frequently Asked Questions. As you might have concluded, I am a fan of Word. With that said, I appreciate that people struggle with it. The migration to the ribbon and loss of “File, Edit, View, Insert” and other familiar menus was traumatic for me too. I also appreciate that many former WordPerfect users have never quite gotten past Word’s lack of “reveal codes.” If this is you, and you are a bit confused by the ribbon, wish you had Word’s classic menus back, want to read more about coding in Word (yes, it’s sort of there), and also want to know what to do if something weird happens in your document, read my complete Microsoft Word Tips and Tricks handout here. Jan Berinstein’s new book, Formatting Legal Documents with Microsoft Word 2010, is now available on Lulu and Amazon. Still using Word 2007 with no immediate plans to upgrade? Don’t fret. 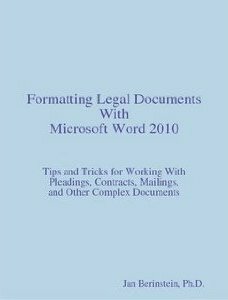 Jan’s Formatting Legal Documents With Microsoft Word 2007 can still be found on Lulu and Amazon for $35.95.